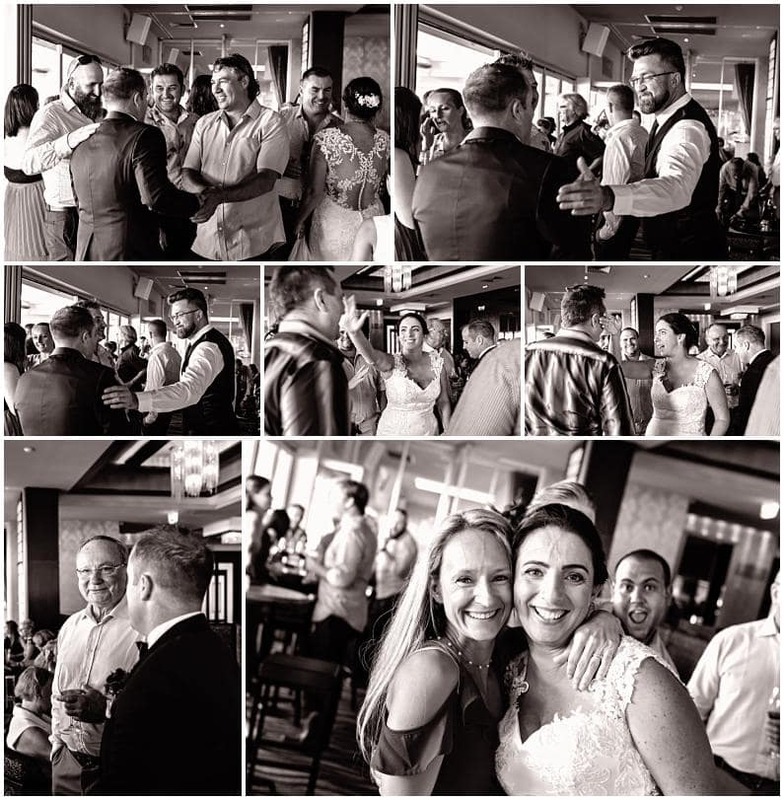 Bride Rennee and Groom Pete opted for a casual chilled Thursday wedding at The Breakwater Hillarys. 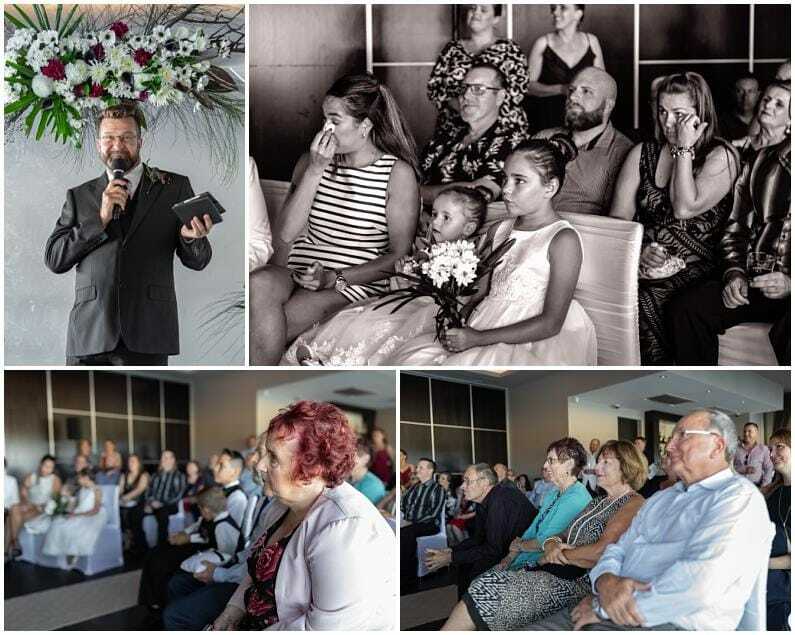 The couples family and friends travelled from overseas to witness their love and marriage. 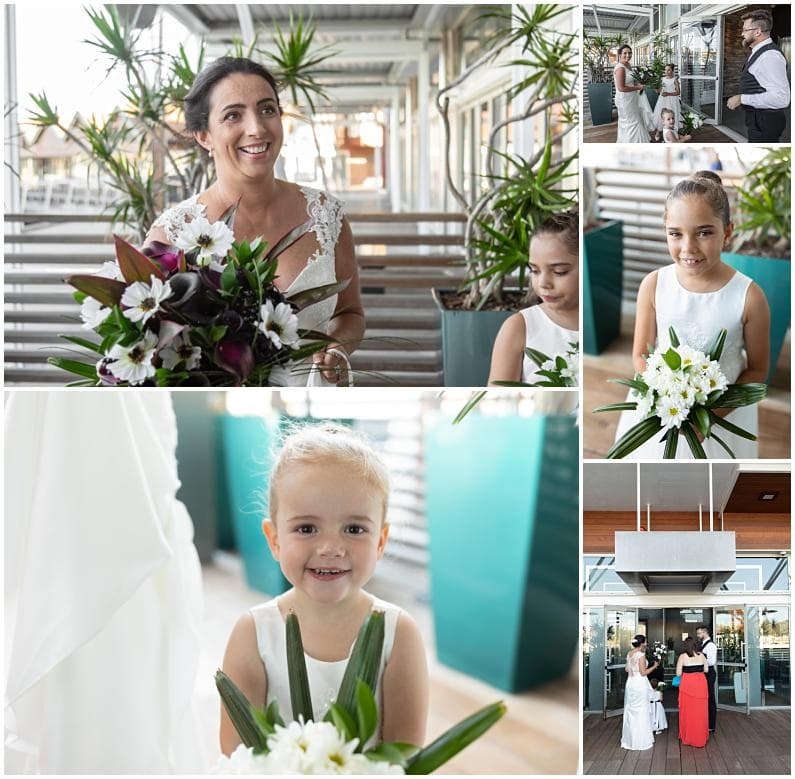 The Breakwater was the perfect venue allowing guests to mingle and chill before the ceremony with beautiful water views overlooking the marina. Rennee chose one of the packages I offer with Gavin at Groovy Entertainment. 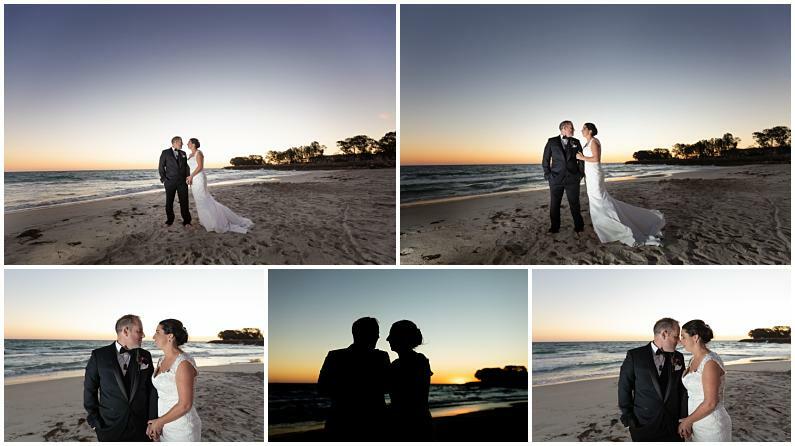 These packages allow couples to tick two vendors off the list in one hit. 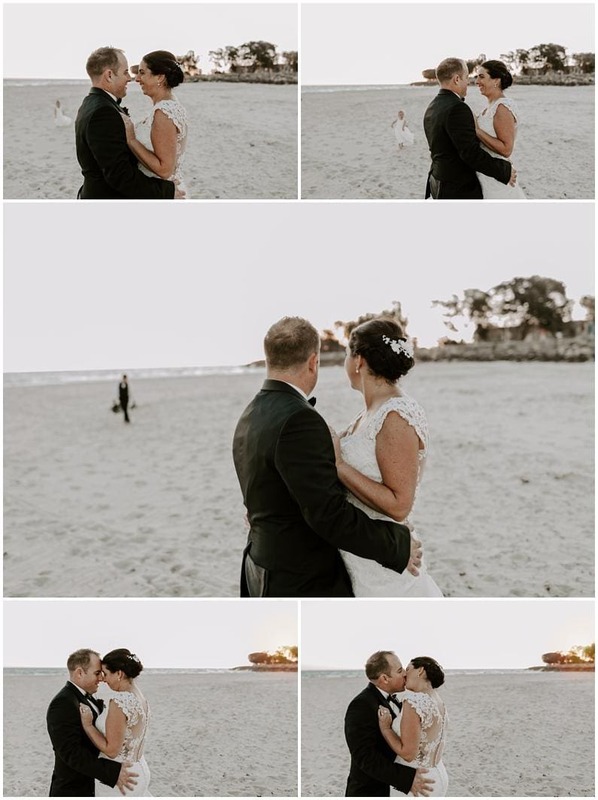 Rennee found us via the wedding pages on facebook. 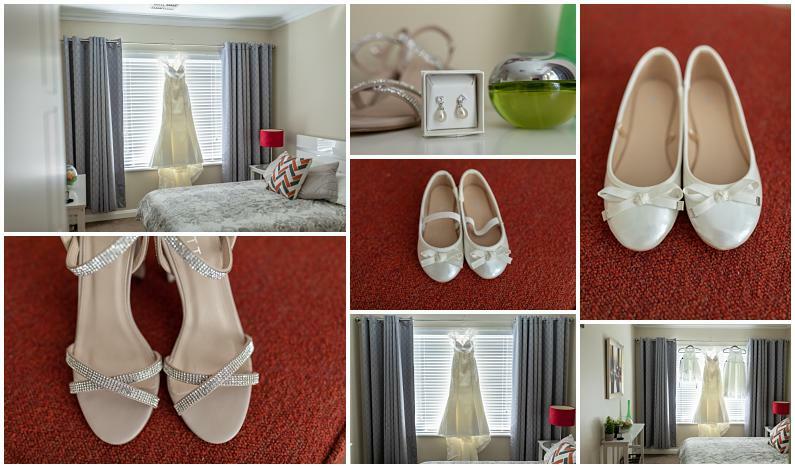 When I met with Rennee she was very chilled and planning a wedding day to reflect a really relaxed intimate vibe. 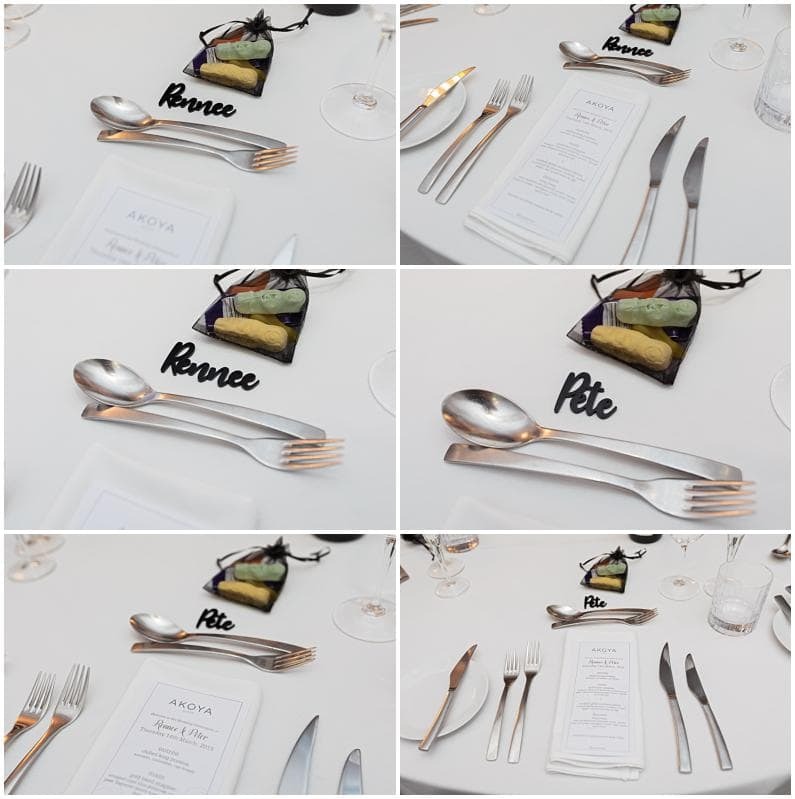 Rennee and Pete’s day was exactly that. 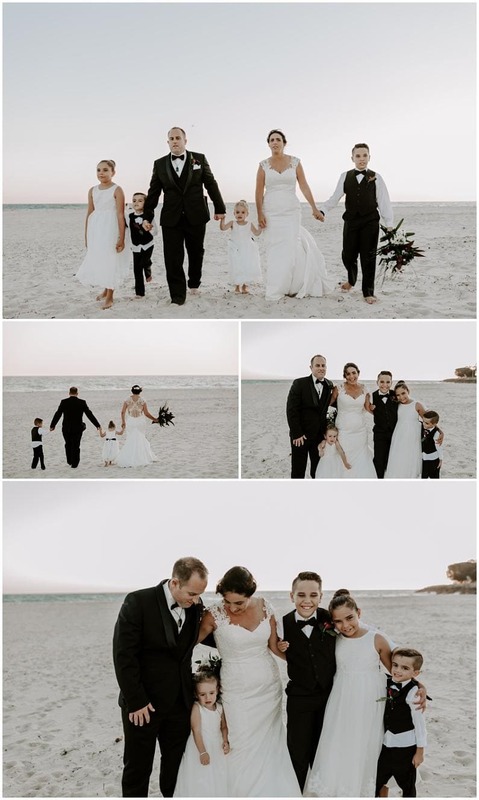 Rennee chose to ditch the “bride tribe bridal party” and included her children, niece and nephew in her bridal party. Cuteness galore! 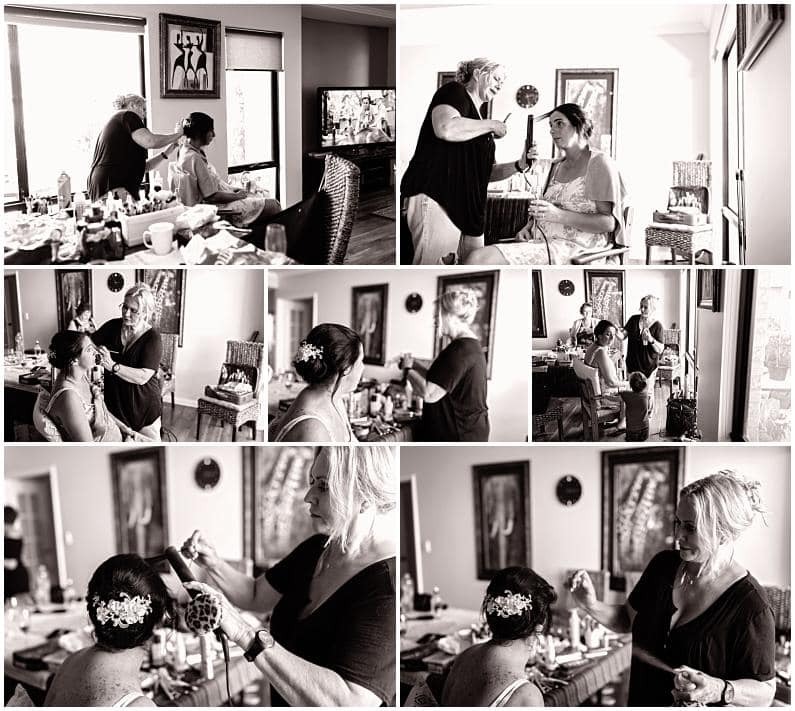 We arrived to find the ever so experienced Gail Wilton working her talented skills in the makeup and hair department. Gail beautified me for a few weddings back in the 1990’s in my late teens. 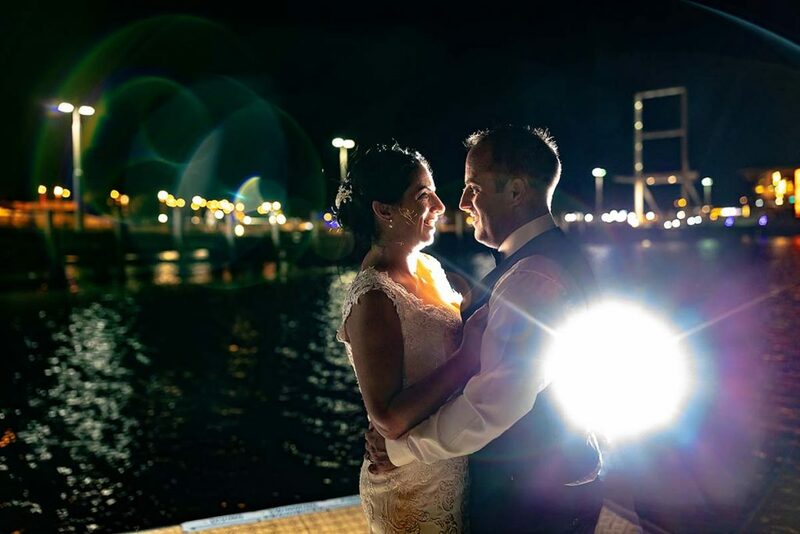 Gail’s talent has graced the covers of many bridal magazines and her talent expands to news presenters. 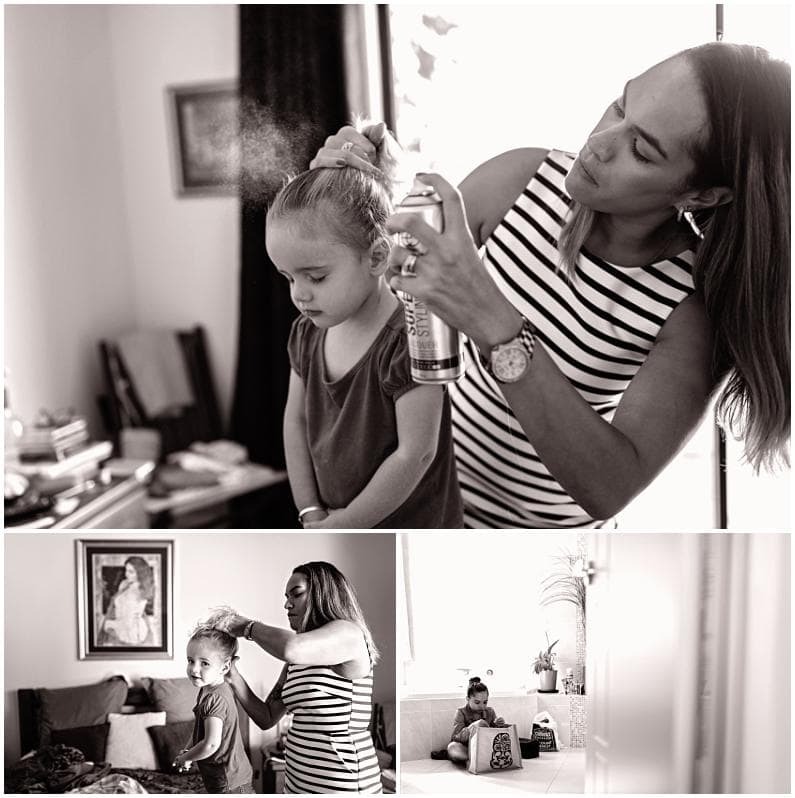 It was so lovely to bump into her at Rennee’s preparations. 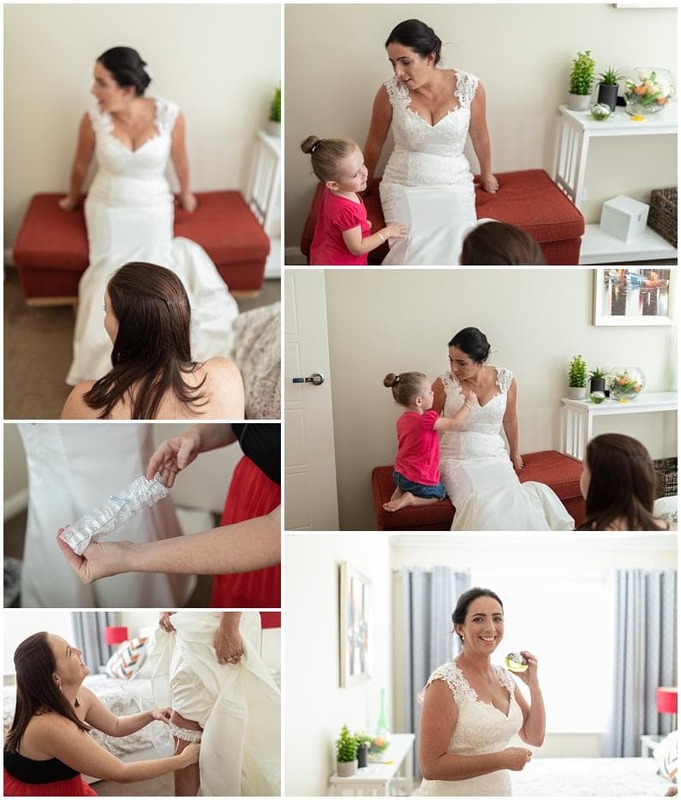 It was very calm and relaxed with loved ones, little ones and our bride getting ready for her wedding ceremony. 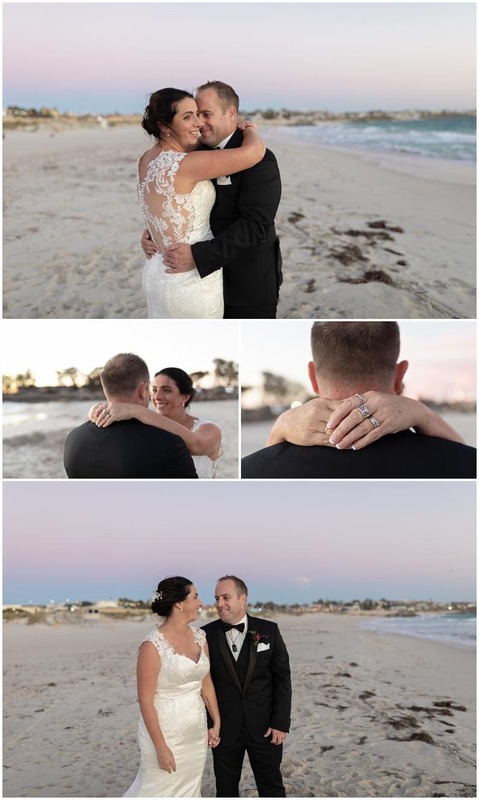 We kept it casual and candid in capturing these moments for our bride. 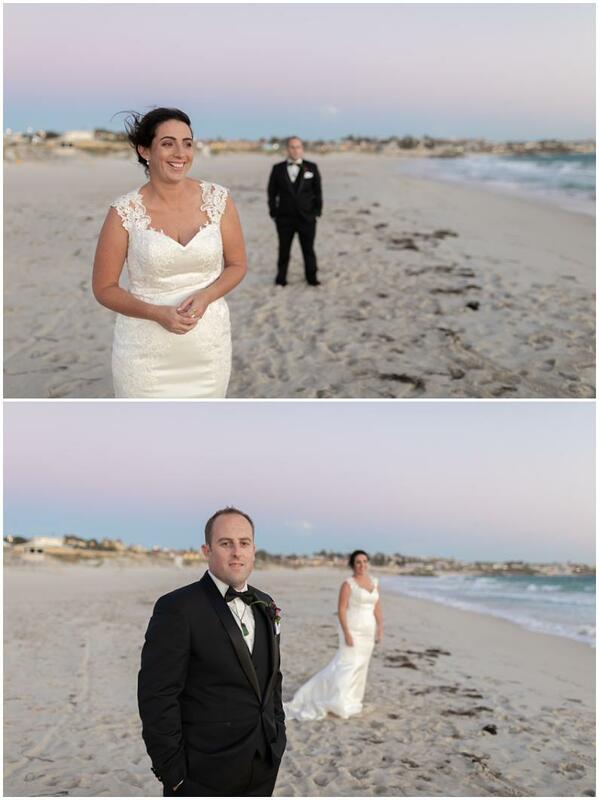 We arrived at The Breakwater to find our slightly nervous groom mingling with the guests. 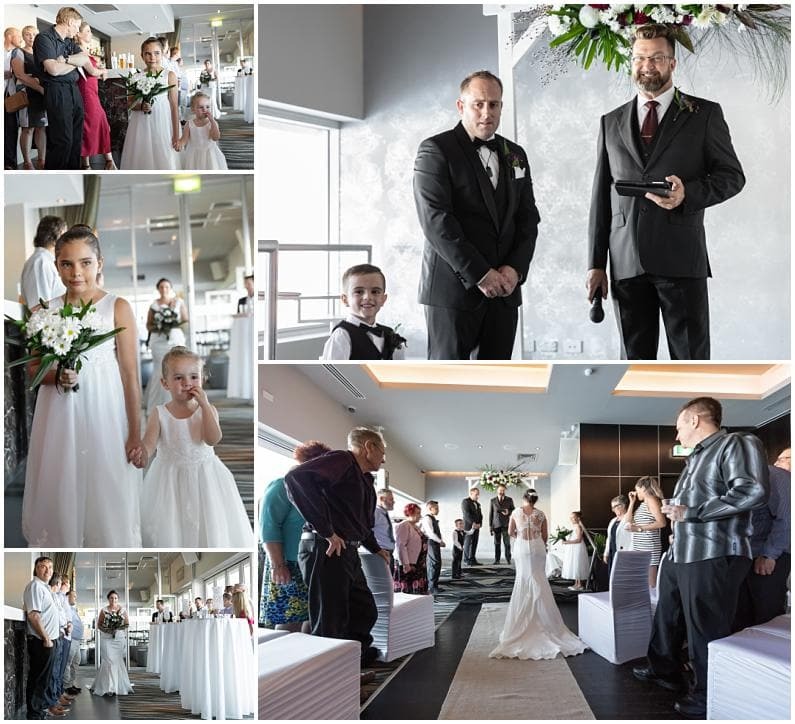 Andrew Pickering was the chosen celebrant. 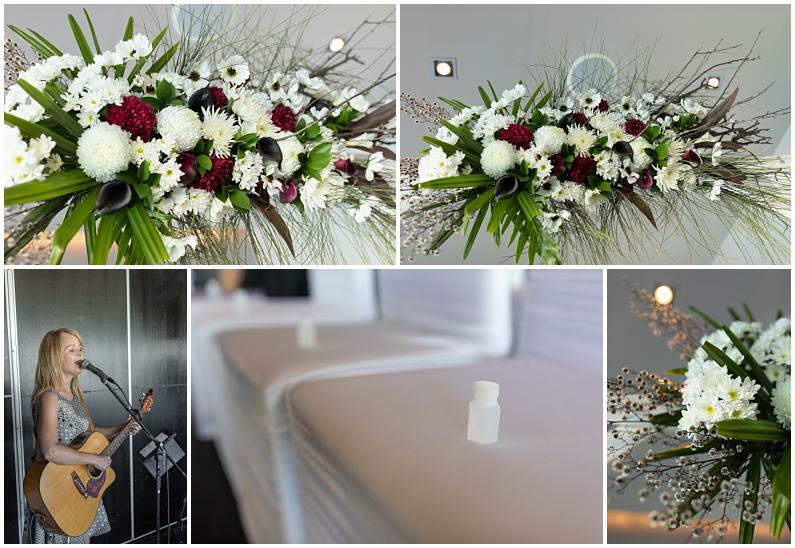 We love arriving to weddings to see Andrews huge beaming smile. 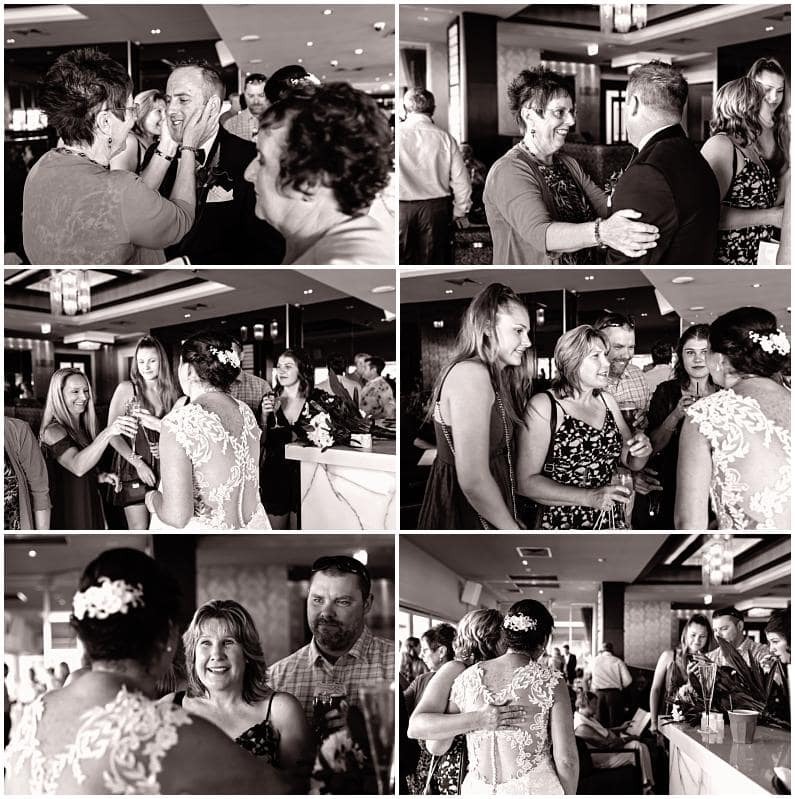 He brings great energy to your weddings and can help calm a nervous groom with his friendly hand on the shoulder. Keep an eye out for this moment. The flowergirl’s made their entrance followed by our bride. 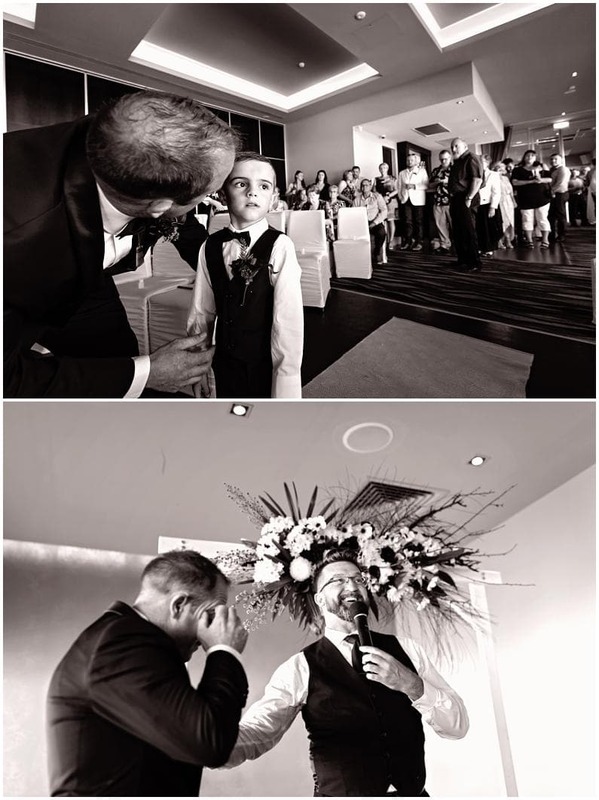 There were smiles and tears of joy from loved ones. 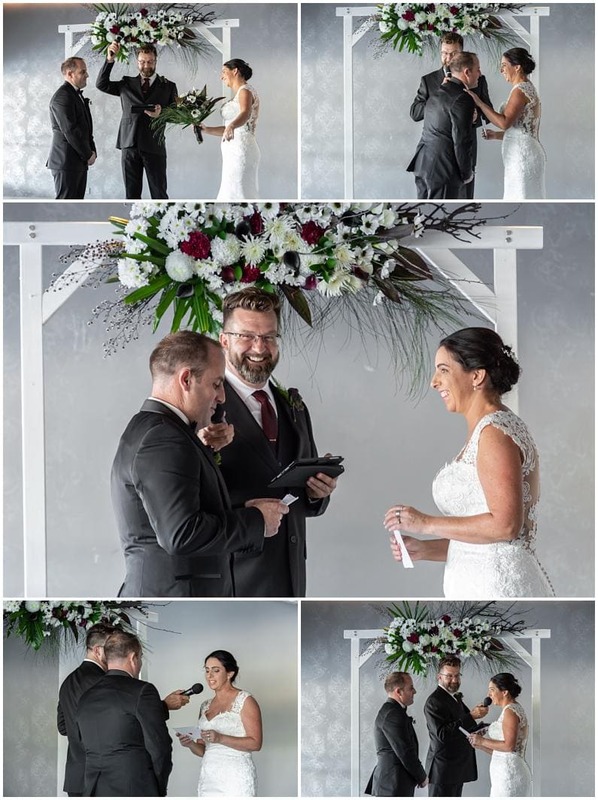 Vows were exchanged, rings placed on fingers, the first kiss as husband and wife photographed and the paperwork signed. 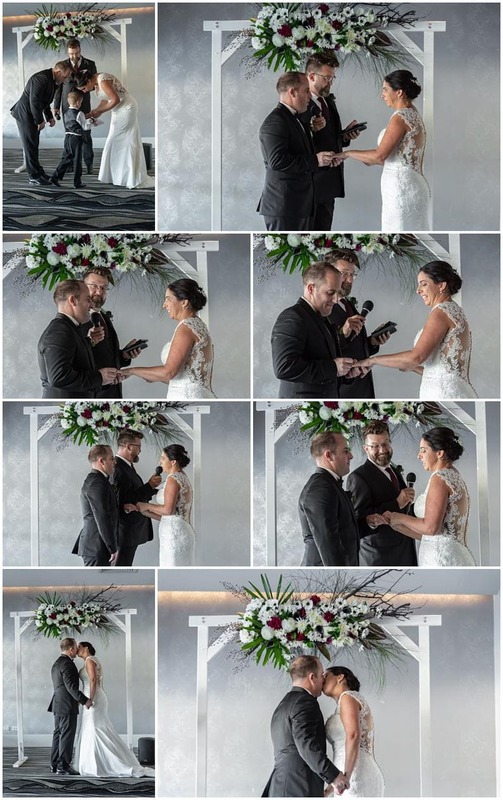 Our newlyweds, arm in arm walked up the aisle to an abundance of bubbles. 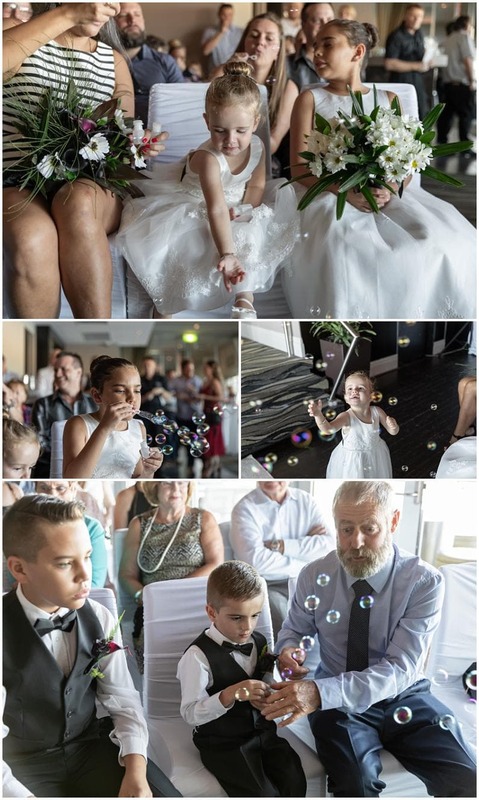 This had to the the best effort from a couples family, at a bubble exit, I have ever captured! Great effort everyone! Beautiful memories all round. 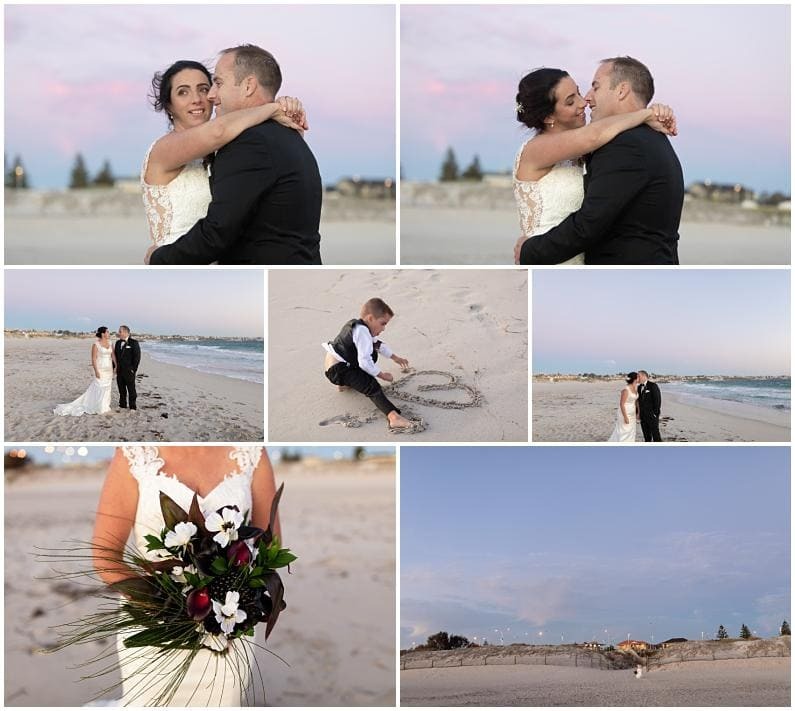 Rennee and Pete chose a quick stroll to the beach for a few wedding photos at sunset. 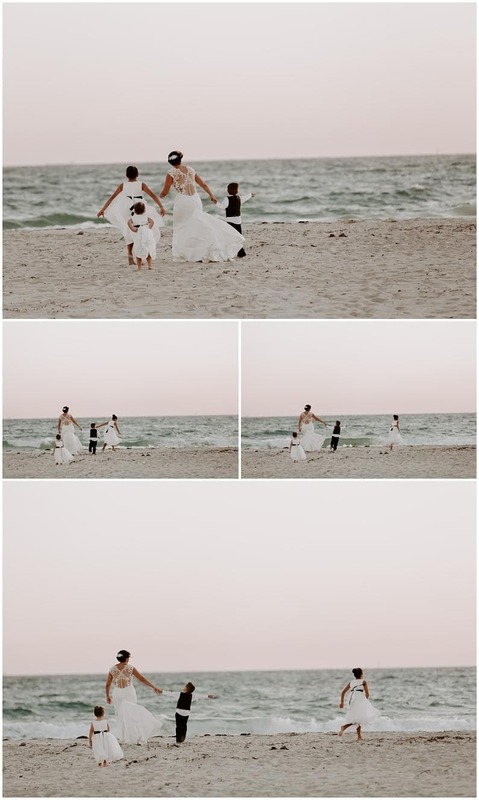 The sun set quickly behind the rocks as the children ran around and had fun in the sand. 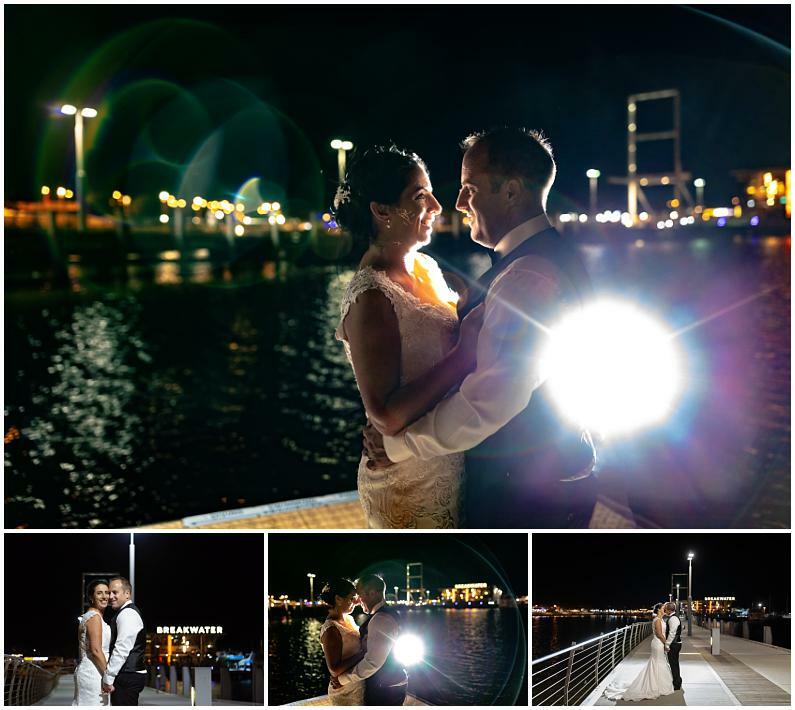 With light fading fast and the couple due to enter their reception we made a beeline back to The Breakwater where Groovy Entertainment was ready to announce the couples arrival. 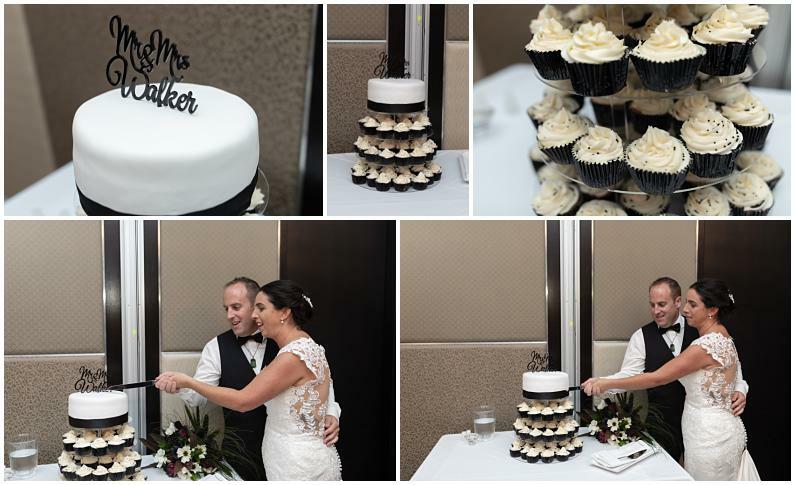 Upon entry the cake was cut and our bride and groom was whisked back out after their entree’s for a couple of night images. This is where we kissed them goodnight leaving them to enjoy the celebrations with loved ones.